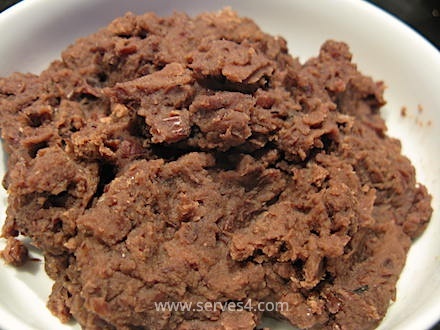 Red bean paste, made with adzuki beans (commonly called red beans in Chinese and other East Asian cultures), is a popular ingredient in many Chinese and East Asian desserts and pastries. Although you can buy it at most East Asian grocers, it's hard to beat the taste of the homemade version. The recipe below is so quick and easy to make that you won't want to go back to shop bought alternatives. You'll notice the recipe suggests cooking the bean puree a bit to evaporate some of the moisture. You may find that this is unnecessary, if the consistency of the blended beans mixed with sugar is just right. If that is the case, simply skip this step. If your blended beans do contain excess moisture, then cooking them for a few minutes is helpful. Even amongst pulses, adzuki beans are high in protein and low in fat. They are nutrient dense, high in beneficial vitamins and minerals, and low in sodium. As well as having diuretic properties, adzuki beans can also help regulate hormonal imbalances, such as reducing the levels of oestrogen in the body. These tiny beans pack a lot of punch - you'll be looking for any opportunity to make red bean paste! This recipe yields approximately 550g of paste. 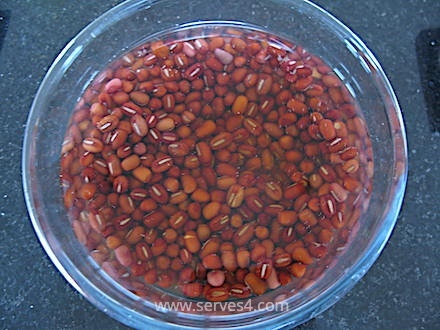 Rinse and soak the red beans overnight in plenty of fresh water. 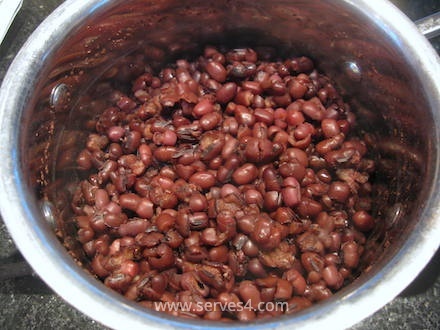 Drain and discard the soaking water, and put the red beans into a lidded saucepan. Add plenty of fresh water to the saucepan, bring to the boil, then turn down the heat and simmer gently for about an hour or until the beans are really soft and tender. 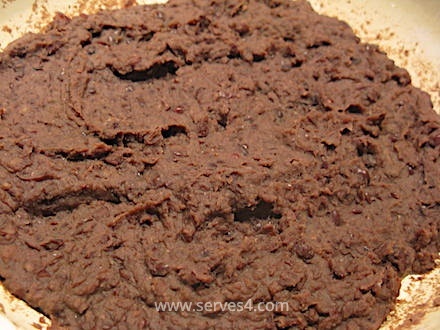 Using either a food processor or a handheld stick blender, blend the cooked red beans together for a few minutes. 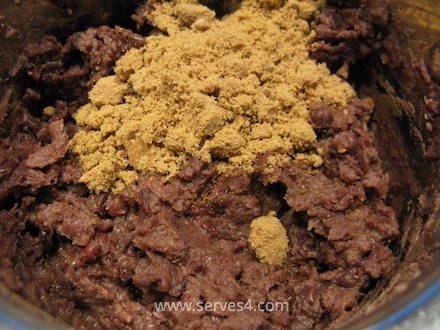 Depending on personal preference and/or the dish you are making, you can either blend the beans into a smooth paste or leave it slightly textured. Add the sugar, and blitz for a little while longer until fully combined. In a large saucepan, heat up the oil on medium heat until fairly hot. Gently cook the bean mixture for a few minutes until most of moisture has evaporated and you are left with a thick paste. Do a taste test comparing your home made red bean paste to shop bought versions, and let me know which you prefer! You can use the paste directly in your recipe of choice, such as this one for Baked Nian Gao (Sticky Rice Cake), or store it in an airtight container in the fridge for up to a week.